​The San Diego Black Film Festival’s Filmmakers Power-Mixer is an informative but relaxing cocktail reception. Here, filmmakers mix and mingle with other filmmakers, actors, actresses, producers, and screenwriters for networking opportunities over refreshing drinks. Practice your pitch! Or simply say . . . "make me a star!” Think of the possibilities! Speakers and special guests are always on hand. Public access to this reception is limited. If you’re a member of the public who’s seeking to attend the Filmmakers Power-Mixer, you must purchase your tickets here in advance. 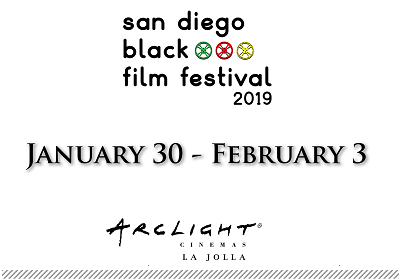 PURCHASE TICKETS AT THE BOX OFFICE: All film tickets, passes, and events can be purchased at the festival box office located at 220 West "G" Street, Suite E. in Downtown San Diego. Starting January 2, the festival ticket office will be open daily 10AM - 6PM. PURCHASE TICKETS ONLINE: If using PayPal, your tickets, passes or other purchases will not be mailed to you. Your PayPal receipt is your ticket to the film or event. Therefore, you must print-out your PayPal receipt and bring with you to the film or event. No cell phone display of a PayPal receipt will be accepted. Again, you must print your PayPal receipt on paper and bring with you to act as your ticket. If you are unable to print-out a PayPal receipt, please do not purchase a film ticket or event ticket via PayPal. Instead, you should purchase your tickets at the festival box office or at the film or event location. You must bring a valid ID that matches the name on your printed PayPal receipt. A Paypal account is not required to purchase. All sales are final. Absolutely no refunds unless a film or event is cancelled. PURCHASE TICKETS AT FILM OR EVENT LOCATION: You may also purchase film or event tickets on the day of the event or at the actual location of the film or event. In this case, simply show up at least 15 minutes prior to the start of the film or event and attempt to purchase your way in. However, there is no guarantee that the event or film would not have already sold out. Therefore, it might be a good idea to advance purchase your film or event ticket on the day of the event from the festival box office or event location. Or, purchase online on the day of the film or event. Copyright © 2019 San Diego Black Film Center. All Rights Reserved.